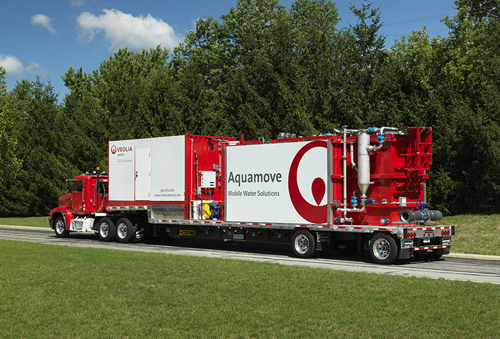 Veolia Water Technologies offers Mobile Water Services and capabilities. Mobile Water Services can be used for water utilities requiring temporary or supplemental treatment equipment and industries using purified water for their production lines or utilities. Veolia Water Technologies offers Mobile Water Services mobile water treatment services and capabilities. Mobile Water Services can be used for water utilities requiring temporary or supplemental treatment equipment and industries using purified water for their production lines or utilities. Mobile Water Services can be deployed as stand-alone units or combined to form complete systems with state-of-the-art water purification technologies.